Merit Award Scholarships are for academic achievement and not on any other financial criteria. Like need. That means they are open to potentially every student. Right now, more and more states are switching a lot of their financial aid to merit awards. 27 states now do it, and 13 are giving more than 50% of their awards as merit. In Georgia, because of financial problems with their scholarship program, they raised the bar. The academic requirement is now higher. Georgia's Hope Program is one of the largest merit awards program in the country. This could mean other states follow. So what's the real change? Instead of awarding college money based on need, it is now trending to award it on merit. Meaning that maybe, and that's a big maybe, less needy students will get money. Many other states are starting to look at how they give out grant money. Some are giving over 50% based on achievement. Remember, the financial aid money is not growing, and might even be reduced. To some it makes sense to award college scholarships based on merit or achievement, rather than on income. It rewards those who work hard, and might raise the standards of those starting and completing college. We might have a better prepared work force. Achievement comes in various parts, like ACT or SAT scores, and grades. Of course states are trying to keep some aid there specifically for low income students. The bottom line, is study study study. You'll be a better student for it, and, it might put money in your pocket! College Students Car Insurance Discounts. How to Become a Teacher. On December 21, 2012, income based payments of the federal student loan program will change and be more lenient. If you are eligible, your student loan payments will be capped at ten percent of some of your income. Living allowances will not be included in this level. This change is a new Pay as You Earn program designed to make student loan payments less onerous. After 20 years, your loan can be forgiven. So, who qualifies? First, you must have taken out a federal student loan after October 1, 200. You are also required to have gotten at least one disbursement from the student loan after October 2011. Of course your income and financial situation must also be qualified, like family size and all income. If you choose this repayment option, it actually could cost you more in payments over the life of the loan, so do the math. Remember, this is only for direct federal student loans. It is not for any private student loans you may have taken out. You must reapply and meet the eligibility each year. The IRS is developing a way to submit your tax records automatically. Want a better deal? Work in some type of eligible public service, and your student loan could be forgiven in only 10 years. >>More info on help repaying student loans. Law school and the dream of being a lawyer is at the point where any potential student should stop and think. Being a lawyer is not the same as it was years ago. Less than 60% of recent law school grads are employed full time as lawyers. Salaries have fallen by almost $10,000. However, if you think long term, a law degree can be lucrative and open doors in the future. Keep in mind the average law school graduate debt is close to $100,000. Having a law degree does open up more opportunities. Becoming and agent of professionals and doing contract law is certainly a possibility. You don't just have to practice law in the courtroom. The job market is very competitive at the moment, not to mention the fact that law school is expensive. Here's what you need to consider if you are thinking about a law degree. The cost is prohibitive for most students. A law degree can cost upwards of $200,000. Will you be able to afford those payments? Can you live rather cheaply for a few years after graduating? The cost is the biggest factor. Are you really cut out to be a lawyer? It's not like TV or the movies. Meet current, active lawyers and shadow them. Find out exactly what being a real lawyer is like. You may find that practicing law is not as great as it's cracked up to be. You have got to choose the right school. Not all schools are the same. Accreditation and the percent of grads that pass state BAR exams are big factors. You should pick a law school in the same state a you wish to practice. Do some research as to whether that state actually has a need for more lawyers and is seeing hiring growth. Your grades will matter. How good of a student are you? Are you an A student? Can you become one? Grades and jobs are very related in the law profession. Can you use your law degree in other ways that do not involve being a traditional lawyer? The more options you have, the better. >> Read more: Law school admission tips and scholarships. The cost of a four year degree keeps going up. It's getting to be very expensive to go to college and many families are feeling the pinch. There are a few ways to save money on college expenses and make getting that degree a little more affordable. If you are still in high school, start thinking about college now. 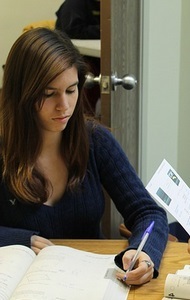 Many junior colleges allow you to take college classes while in high school. Some are even taught on high school campuses. Take some classes before you graduate. If you are up to the challenge, take AP classes and pass the AP exams. This will give you college credit. Any classes you take will make the overall cost of a degree cheaper. In fact, virtually all college degrees require the same first two years of general education requirements. Taking these classes at a local community college can save big bucks. Then transfer. You will only have roughly two years of four year college expenses. Staying at home, going to a JC, can be one of the biggest ways to save money on college. Resist the urge to get a federal student loan while at a junior college. Try and pay cash. Your loan will be much bigger than the expenses if you are living at home. Save the debt for the four year college or university. Speaking of staying at home, are you attending college close to you? No reason to spend money on a dorm or apartment. Staying at home cuts that expense down to what your parents are already paying--your room and board now. What is your plan? Do you have a major picked out? You need to pick one soon. Taking classes that you don't need is a waste of time and money. Choose a degree wisely, and stick with it. If not, you probably will spend longer than four years getting a degree because you need different classes. Take only the classes you need. You can also be a dual-major, using the some of the same classes for each degree. If you live on campus, get the cheapest meal plan first. This will allow you to test the food to see if you like, and more importantly, will actually eat it. No reason to get a meal plan that you will not use. Sometimes an off-campus apartment is cheaper than a dorm and meal plan. Check this option out. Yes, college is expensive. Checking out ways to save now is a good idea. Also, it is very important to graduate without a staggering amount of student loan debt. Not all students will go to college. Not all students must go to college. College is an option like anything else. The problem is, schools and teachers seem bent on preparing all students for college, but most of these ideas are off base. Here are some real world tips for preparing students for college. The work is not necessarily harder in college. We do students a disservice when saying it is. Kind of scares them into a false reality. Some classes and subjects may be easier in college than high school. Many general requirement classes will be filled with hundreds of students doing mostly busy work. Not exactly hard. Time consuming, but not hard. In fact, the biggest thing teachers and schools can do to prepare students for college, is for them to actually know what the present college experience is like. College students must meet deadlines. Do you have deadlines? Or are you lenient? This is a good rule for all students, not just college bound. The real world has real, hard hitting deadlines. If you miss them, you suffer. Don't pay your taxes on time and see what happens. Show up to work late. You suffer. College students may actually fail classes by not meeting deadlines. Certainly they must register and have all forms in by certain dates. Give your students consequences for turning in late work. College professors consider college students adult enough and are not very lenient. Technology only goes so far. High school students grow up today using spell checkers, texting, and calculators. While that's fine, colleges are still pretty old fashioned. Introductory college writing will require proper sentence structure and grammar. And spell checkers don't do much for wrong words spelled right. Calculators? They probably will not help you in many math classes. These skills are good for the real world as well. People who can function in all circumstances will thrive. Don't be lenient on worked turned in that is garbage and is done in a lazy way. Note taking may have become a lost art. But college, as stated above, is still old fashioned. You must be able to take good notes and be able to study with them later. If your students are not taking notes, they may falter. Taking notes also helps students pay attention to what is being taught. A good skill for the job market as well. Schools should demand that teachers and students meet standards. Many four year colleges have canceled their remedial classes because there are just too many students needing them. They can't cope. Many students find they can't pass entrance exams and must take a class at a junior college. In California, for example, the high school exit exam tests to just about the 10th grade. Do you think 10th grade level is good to start college? It's not. 10th grade level should not even be accepted in the job market. Advanced Placement and Honors classes have their place, but they give a false sense of "college readiness" or "intelligence." AP classes are taught to pass the AP exam. Why? Because if one does not pass the exam, taking the class is now a moot point. Too many schools are stuffing their campus with these classes. They don't do much good. They prepare to pass a high school class, but not get you college ready. Parents should have their students get straight A's in a regular college-bound curriculum, and not be snookered into Honors classes. Teachers, incorporate more logic and critical thinking into your classes. That's what college campuses are craving right now. Critical thinking students. Do you make your students think on a daily basis? Or they just doing mindless tasks? >>Discuss more educational topics at the forum. For many college students, the dorm is not an option, or they just don't want to live on campus in a cramped dorm room with a bunch of other students in the same room and building. But renting can be very expensive compared to the dorm. Here are some ways of saving money on rent. The best way to save money is to not get the first apartment you see. You need to shop around and see what's out there. Getting the best price may take some leg work, but even $50 less a month is almost $500 for the school year. It may seem counter to what college students should do, but signing a lease may get you a few dollars off the rent. A longer lease generally comes with better terms. The downside is that during summer, you will need to find someone to take over the payments, or live there yourself. Every college has a summer term and there are students who need rooms just for the summer. Speaking of renting rooms, that's another way to make rent cheaper. Rent a spare room. It could either be to another college student, or maybe a tourist in town. The latest thing is renting rooms to tourists as the cost of hotels continues to skyrocket. This is better than the dorm, in that you can pick and choose a roommate. Consider your location. Rooms near a college may be more expensive than just a few more miles away. Supply and demand is in play here. You will be competing with other college students looking for rentals. The further away you can live, the cheaper the rent. Maybe. You have to weigh the distance with price. A good deal is rents that include anything free. If you can scoop up a place that tosses in free trash, water, wi-fi, maybe even other utilities, that could be quite a savings right there. Everyone needs water and wi-fi. If you spend money on a gym membership, having a free one at your apartment complex can save some dough as well. The past few years have been hard times for everyone. College students included. That's why many colleges and universities were giving out more monetary aid. To help students and families afford college. But those times are ending. Many schools have been hit hard by the recession as well, and now they need to cut back. College students can expect less money available from their schools. Colleges have their own ways of helping students, with grants and scholarships. But the money is not as plentiful as used to be as colleges cope with their own cost-cutting measures. It has been reported that as much as 15% less money is now available. That's quite a bit. Because of this, college students really need to step up their game for this money. Grants and scholarships do not need to be repaid. Taking as little in student loans will help in the long run. First thing is to realize that colleges are probably making it tougher to qualify for the aid. Only the really good students will qualify. This is especially true for merit scholarships. Strive to be an A student. Applying early is also a good idea. Grant and scholarship money from the college you choose is not without end. The money will run out. Applying as early as possible will put you at the front, not the back when the money runs out. Because tuition and fees continue to rise, and money getting tighter, the amount a college student borrows will just keep increasing. There are many http://needycollegestudents.com/college-students-save-money.php, from going to a 2 year junior college first, or a cheaper closer school. Plan ahead. Apply early. Expect to borrow more. Keep your costs down. The health care industry seems to just keep growing. People will always need healthcare, and as the baby boomers age, demand will only increase. Yes, doctors and nurses will be needed, but the top healthcare jobs that are growing do no require a degree. Or, in some cases, only require a two-year degree. If the healthcare field is something you would like to get into, but do not want to spend years in college, here are three such positions. One of these is a health information technician and medical records. Many public community and career colleges offer these classes. You will probably need to earn a certificate, or go for a full two year degree in information technology in healthcare. If you would like a medical career, but do not necessarily like interacting with patients, this is the ideal job. You must be a person who is very organized and can keep track of details. If you do like working with patients, consider becoming a medical assistant. Some of these jobs are like super secretaries. They can help run doctors offices from the front desk. You will be doing some paper work, like scheduling appointments. Getting the medical history of a patient is also withing your scope of practice. Some even do medical tasks, like vital signs and injections. Every medical office will have different requirements. A certificate in medical assisting from a career or community college is probably a must. You can earn a two year degree as well. One of the biggest growing medical fields is in massage and physical therapy. More people are looking at alternative medical treatments and massage therapy is booming. Opportunities are opening up all over. You have to be good with your hands and work very well interacting with people. A massage therapists will probably need a certificate. 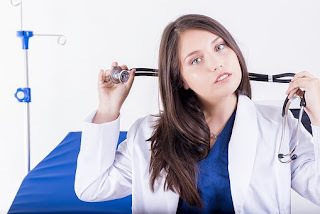 Physical therapists, which are more involved in the medical field, will probably want to go for a bachelor's degree, but it is not required to be licensed. Check with your state on what it takes to become a licensed physical therapist. >Looking for scholarships? Check out our free college scholarship search. After getting an undergrad degree, many students want to immediately go on the graduate school, or, a professional school. The thinking is you will get a better job with more money. But the cost of grad school on top of your previous student loans, make a mountain of student debt. Some graduate degrees just do not pay off. Here are a few to avoid. Weather- A graduate degree in meteorology has little chance of paying off. It is true that if you are looking for a research position, then a graduate degree is necessary. But those jobs are few and far between, and are most likely at universities. For the normal meteorologist, there really is no pay difference between those with advanced degrees and those without. Lawyer- You must go to a law school to be a lawyer. This is after you have completed undergrad work. The pool of spots for lawyers is shrinking. Upwards of 80% of the law degree students are still looking for a job in the field. Normally, your college of choice does not matter. But here it does. If you go to a well-known and well-respected law school, chances are you will get a job offer. But the majority of law schools are not one of those elite colleges. Those graduates have a very tough time. >> Read more on law school admission and tips. Graduate Degree in Computer Science- Computers are hot. This field grows at leaps and bounds and will continue to. Computer people are needed. But a graduate degree? Not really. Very little difference in pay for those with just a bachelor's degree. How do computer science majors increase their pay? By getting experience by actually working. Those people are sought after. Fine Arts-This one is a no-brainer. A Masters in Fine Arts is pretty useless. In fact, you will be upside down on a career versus student loans for a long time. If ever there was a graduate degree to avoid, this is it. The pay is lousy overall, and just getting a job is pretty tough. For those who have Fine Arts degrees, very little difference between advanced degrees and those without. The bottom line is to research college degrees before you start college. And certainly you want to make the right decision on grad school. If not, you will be saddled with a huge amount of student debt, and not a salary that matches. >> Read more on graduate school admission tips and financial aid. Times are tough for college students. Jobs are scarce. But the job market is a little better than last year. Ten percent better for this year's college graduates than one year ago. Last year graduates are facing over fifty percent unemployment or under employment. Here's a look at some companies hiring this year. Americorps is hiring for public service in the education field. No, you don't get rich and it's a limited time job. But you can earn about $12,000 and get $5,500 in scholarship or student loans paid. Not bad. Plus, the experience may look good on a resume. Enterprise Rent a Car They have hundreds of position in management training and others. A good foot in the door of a major company. Aramark A food service company hiring in positions like quality control. Kiewit Construction management company hiring positions like safety and engineering. BAH Booz Allen A high tech company looking for computer majors. Cyber security is a hot field. This is a short list, but has some of the biggest hirers. As a college grad, you need to start your job hunt somewhere, right? > Tips to find a job after graduating. If you are graduating college, you know the job hunt will be tough. But if you are just starting college and are wondering where the jobs are, look no further. There are a few degrees that will give you a guaranteed job after graduating. In fact, you probably will be sought out and offered more than one job. However, these degrees are math and science oriented. Before you take out huge amounts of student loans, choose your college degree wisely. Get a degree in pharmacology, and you'll have labs trying to hire you. Coming up with new drugs and lab tests for various diseases will always be growing. Healthcare is still a rising field and pharmacology majors will be at the forefront of the future. The world needs new and improved drugs for combating disease all the time. Energy majors are also in high demand. No doubt that energy needs of the world will grow. Green energy is still a pipe dream. Fossil fuels will still be around for centuries. Geophysics majors will have multiple offers. Big energy companies cannot even get enough grads from the United States to fill their growing positions. In fact, if you want to live abroad, global energy companies have locations all over. Yes, both of those college majors above are heavily involved in research. So, it only makes sense that another field, the universe, is also looking for scientists for research. We don't even know a fraction of the universe. Astrophysics or planetary science majors will have plenty of research jobs to peruse through. If your thing is math, then becoming an actuary is right up your alley. Guaranteed job for sure. Insurance companies hire actuaries to research risks for all types of things. A degree in actuarial science is one hot degree. There you have it. College majors that will get you not only a guaranteed job, but a high paying one. And those jobs are high in job satisfaction. Choose your college major wisely! >>Find a job after graduating. >>Job interview tips. Before you go to college and get loaded up with a mountain of student loan debt, think it over. Be smart about how you finance your education, and, choose your college and major wisely. Student loans can add up quickly. If you can't get a high paying job to make the payments, you will be in a bind. Even if you can make the payments, you will need years to pay off the student loans. Avoiding student loans may sound impossible, but it is doable. College should enhance you life, not ruin it with debt. The first thing you can do to make college debt manageable, is to choose your major wisely. A major that will not get you a high paying job is not worth borrowing thousands of dollars to finance it. If you are stuck on your current low-paying major, you should finance college in a different way. Read on for more tips. If you have a major that can guarantee a high paying job, and is in demand, you can quickly pay off your student loans. Does your future job justify getting $100,000 in debt? Choose your college wisely. The cost of attendance is different between schools, and can be quite staggering. Most often, a public college or university is much cheaper than a private one. Even with recent tuition increases. Some private colleges do give out more money, so be sure and do research. In the end, it does not really matter where you graduate if your degree is in demand. You don't have to start out at a four year college. Going to a local junior college will make the first two years of college much cheaper in relation to the years elsewhere. Remember, your four year degree will still say it came from the four year college. Many junior colleges near four year schools have agreements about guaranteed admission from one to the other. This can really make your first two years of school almost debt free to begin with. Get a job and keep working. Yes, it's tough to go to college and work. But it will pay off in the end. Traditional colleges are very expensive to attend. Most colleges and universities are offering class that are non-traditional, or at later hours. You can take classes online, after work, and on weekends. Did you know that many freshmen do not finish in four years? There is no rule that says you have to. Colleges have programs and degrees geared for working people. We all know the lure and excitement about attending college. The dorms, the fun, the friends. But we forget the debt. Don't get suckered into ruining your future. Graduate debt-free and you can party the rest of your life! This economy has led more people to consider bankruptcy. You can eliminate most debts, including credit cards. But you cannot get rid of a student loan. It may sound odd, but a private bank that loans you money with a credit card will have the credit card debt discharged at bankruptcy. But a private student loan from this same bank cannot be done away with. Beware of this fact if you get private student loans. These are the same rules as the Federal student loans. Since all direct loans are handled by the federal government, when you borrow the money, you owe the taxpayers this money. It's essentially who you borrowed it from. Taxpayer debts are hardly ever discharged. Student loans are no exception. You cannot get a student loan discharged. You will owe the money basically forever, or until you pay it off. Private student loans were not originally in this agreement passed by congress in 1976. Before this time, all student loans were eligible to be discharged at bankruptcy. In 1984, private student loans were also added. Private student loans are really one of the most expensive loans you can get, as far as college debt goes. Avoid private student loans. Even though you cannot discharge a federal student loan, you have many more options as far as paying it back goes. You can get deferments, as well as get student loans forgiven for various public services. The best thing is to really not get any loans for college. Borrow the least. And above all, only go for Federal student loans. These rules were set up so that people could not just sign up for college, then declare bankruptcy to get out of paying the loan back. Also, it makes starting college a serious decision. Make it wisely. >>Your Financial Aid Award Explained. Look close at your financial award letter that spells out what you will get as far as a financial aid award. Many times, the letter will not give the whole picture as to the cost of a college education at that school. The biggest shock comes to students when they read their expected contribution. At first glance, it looks like an award. But in reality, it is the amount that is expected to come from you and your family. Many times this number will make it look like all your expenses are covered, when in reality you must make up quite a difference. The best thing on this financial aid letter will be free money that does not have to be paid back. Like grants and scholarships. The more of these, the better. Student loans can be a killer in the future. All loans need to be repaid. Federal student loans are cheaper than private ones. If you get private loans, beware of this fact. The less loans, the better. Many students do not think about payback. They only look at the upfront cash. The bottom line is the cost of attendance at this college. Many colleges do not give this figure, leaving you what may be a huge out of pocket expense. This figure includes all fees that are normally paid by undergrads. From lab fees, to dorm and food, and all fees in between. You may need to rethink attending a college that is really more expensive than one you can afford. Sometimes it's the opposite. An expensive college can actually give more financial aid, making it cheaper. Once you get your letter, you may contact the financial aid office for more explanations, and certainly ask for more aid if possible. If you are applying to more than one school, and are accepted to many, use the letters as leverage to get a better award. Many times colleges will "find" money for students they want. Having a car may sound like a good idea for a college student, but it is just an unnecessary expense in most cases. Not only will parking fees, gas, upkeep cut into your college budget, but the insurance can be quite expensive. You want to make college as cheap as possible. That car you enjoy will cost a bundle in relation to the amount of time you actually use it. You probably will use it sparingly, and then only on weekends. If you insist on owning a car while in college, you may be interested to know that location is everything when it comes to car insurance rates. Here are the top 5 most expensive places for car insurance, and the 5 lowest. Keep in mind that areas near these are probably just as expensive. Top 5 most expensive car insurance areas. Top 5 least expensive car insurance areas. >>More tips on saving car insurance in college. College students, take note! If you are living off-campus paying rent in an apartment, it can be good for your credit score. Only one credit agency is reporting it, however. Experian started doing it in December 2011. Also, the property manager or management company needs to upload the report. If your apartment is a rather large complex, or one of many managed by the same company, it is probably easier to see that it gets uploaded. Just ask! If a college student is indeed paying rent, and it gets uploaded to your file, VantageScore will count it and factor it in to your credit score. VantageScore is the one that is used by Experian. If your name is on the lease or rental agreement, you get the credit. This is actually a way for parents to help their college student get a good credit score. Just make sure the student's name is on the lease. That way, even if you are sending money, or financial aid package covers it, the student still benefits. Nobody knows who is coming up with the cash. RentReporters.com has a similar service, but it will cost you. You pay a small fee to set it up, as well as a monthly fee. Your landlord will upload your rental data to them, and they will send it out to credit companies. If your landlord or manager does not want to participate, you are refunded the money. College students especially can benefit from rental credi. Establishing credit and keeping it stellar is the goal of every college graduate. No matter where you are in life, your credit score will affect lots of what you do. From buying a house, to maybe getting a job. Recently they are getting businesses to remove the credit check from new hires. But this may effect a background check if you are trying to get a job where your credit and personal finances matter. There are a lot of myths as far as credit cards and raising your credit score. Beware, especially college students. Don't make mistakes on your credit rating. You do not need to carry a balance to keep a good credit rating. Agencies look at how much you have used in regard to how much overall credit you have. The higher the ratio, the more it will lower your credit score. Payoff anything you can. When applying for some sort of credit, you might inquire as to what credit score will be used. There are many different rating agencies and scores, and depending on the credit, a different one may be used. Be sure to know what your credit score is on the one that will be used. If you have old balances that are late, even in arrears, it will not help to pay them off in a lump sump sum. The negative mark is already there and won't be removed until the set amount of time has passed. It is true, however, that you cna make a note on your record that says you paid it off. This may help in a manual review of your credit. Your income does not have anything to do with your credit rating. This may seem strange, but it is absolutely true. A high income can have just a low of credit score as low income, and the opposite is true as well. Lower income people may have a higher rating. It all depends on YOUR credit record. It is true, that loan and credit officers will look at your income to see if you will be able to pay the credit balance off. Don't think that a department store credit card will do anything major either. In fact, it may have the opposite effect. Department stores and companies generally give a lower credit limit. People have a tendency to max this out. This will actually lower your score, as the balance is high to the total. Department stores are an easier way of getting credit and establishing it, but to make it work you need to have a low balance in relation to the limit. >>More tips for college students and credit cards. So you've applied to college, been accepted, and gotten a look at your financial aid package. You do the math and realize you are short of paying for everything. What are you going to do? Well, you can ask the financial aid office for another look, maybe a better offer. Click here for tips on getting more financial aid. After that, there are a few things the college student can do to make the bottom line look better. First thing is to be first in line. Apply early. Colleges have a more limited supply of funds to give out and may run out if you delay. Think about changing schools, if it's not too late. Many colleges are offering out of state students money as an incentive to come to their college. Some large private colleges actually have more money to give out. So even though the cost is higher, it will be cheaper for you in the long run. Don't overlook the scholarship search. It may take some of your time, but working on finding scholarships in this economy is worth it. And there are many scholarships that go overlooked. You can do a free college scholarship search here, or learn ways of finding scholarships here. Colleges have what they call merit scholarships to current students who have high GPAs. So, pump up your studying and get good grades. And the easiest way to make up a shortage of college money. Spend less. This means everything from transportation, to books, and dorms to food. Read 30 ways to cut college costs. The bottom line, is that your bottom line may look deep, but with a little extra work, you can make up for a college cash crunch.